Unforgettable birthday party? A romantic anniversary? No matter what draws you to the water or who you'd like to bring, we will do our best to accommodate you. Bring your kids and show them a whole new world of animal life! Invite a few friends for a weekend escape from the city! We can customize the perfect tour for you, from a romantic sunset sail for the proposal she'll never forget, to a rocking birthday party for your friends. Many passengers come aboard simply to enjoy the sunset or to spend the last few hours of the day enjoying the romance of the moment with their a loved one. 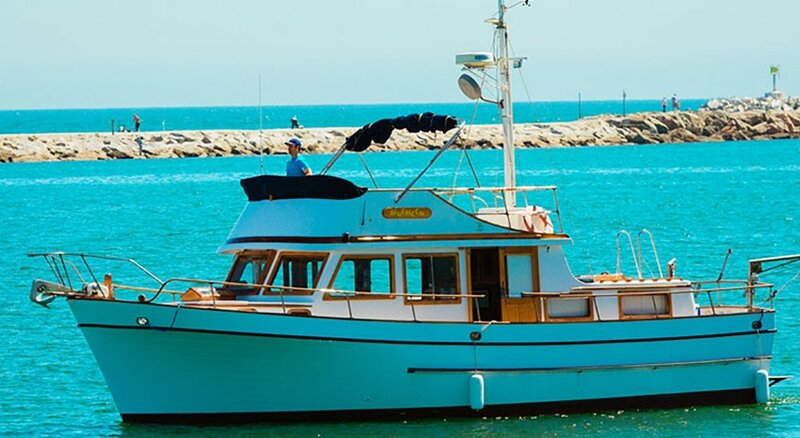 If you prefer the smooth waters and a shorter sailing time of a harbor cruise, just ask! The waters surrounding Marina del Rey are teeming with a wide variety of creatures, including several species of dolphins, whales, seals, and birds. $100 deposit required at time of booking to hold your date. Counts toward the cost of your trip. Number of passengers is limited, so please specify when booking. For parties larger than 6 passengers, please contact us for more information on our new bareboat option. In order for our vessel to take on larger parties, according to Coast Guard regulations, you would take responsibility for piloting the boat. 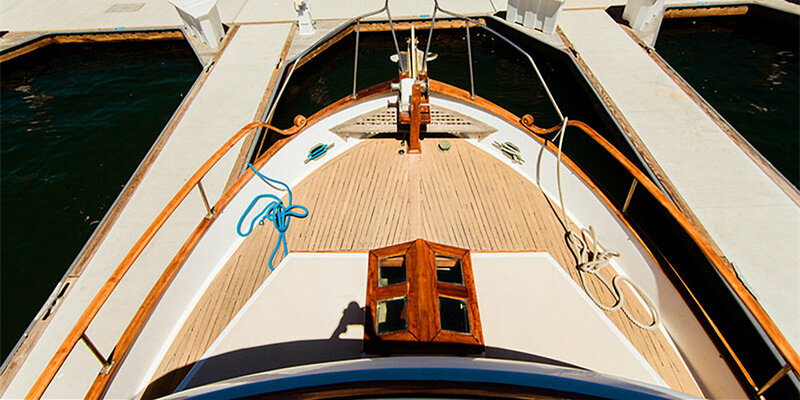 Would you like to apply to be a bareboat captain? Life vests are on board for all passengers, including children. Children under 11 are required to wear the life vest. Be sure to follow your captain's directions and read all posted messages.